Wrap yourself in a little dash of color and a whole lot of luxury. 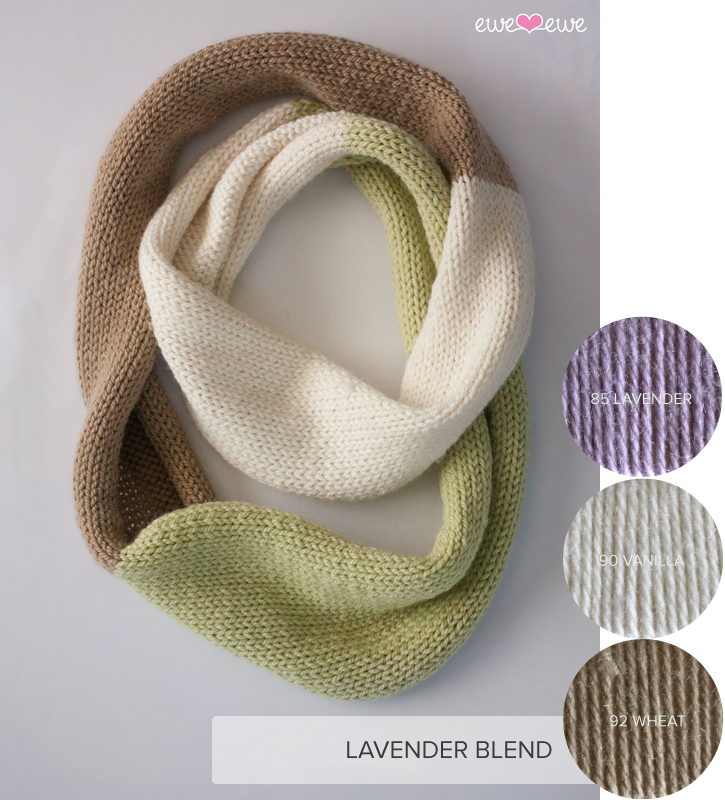 The simple and beautiful Compatto Cowl is color block at its best. Choose your three favorite colors of Wooly Worsted yarn and get knitting! Compatto Cowl free knitting pattern. Easy to knit! The Compatto Cowl is a great beginner knitting project because it’s just knit and purl. Simply cast on and work one row at a time. When you get to the end of the ball of yarn, add the second color and keep going. Repeat for the third shade, seam it together and you’re done! If you’re up for a little bit of a challenge you can create a seamless cowl by working a provisional cast on and then grafting the ends together with the Kitchener stitch. It’s up to you! Add the Compatto Cowl to your shopping cart to download the free pattern. You won’t need to enter any payment info if you’re just getting this freebie! Get a Compatto Cowl Yarn Kit to make this pattern! I put together a few soft color kits that would work perfectly for this design. All of the kits include 3 balls of Ewe Ewe Wooly Worsted merino wool yarn which is soft and lovely to knit. Choose your favorite color way!